Rates based on double occupancy, 3 nights all inclusive packages. 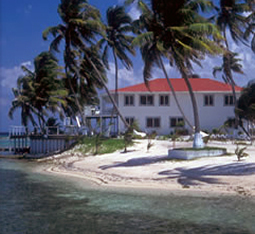 Located on Belize's Turneffe Atoll, the largest and most biologically diverse atoll in the Caribbean, the Hotel Turneffe Flats specializes in superior service for a limited number of travellers! It provides its guests with air-conditioned beachfront cabins with an incredible tropical seascape of white sand beach. The Turneffe Flats has long been recognized as a premier saltwater fly fishing, scuba diving and marine ecotourism destination for a special vacation. Their family-style restaurant serves tasty meals that are a combination of Belizean and American dishes; fresh seafood, local produce and home-baked pastries are standard fare!.